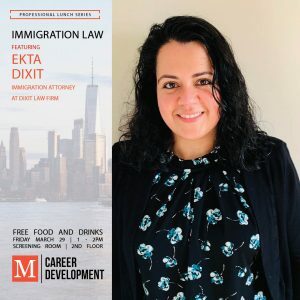 Ekta Dixit in an immigration attorney with extensive experience in all areas of US immigration and nationality law including business immigration, family-based immigration, VAWA, consular processing and defense against removal. Her clients include both corporations and individuals and she handles visa classifications such as H-1B (specialty occupation), L-1 (intracompany transferee), TN (Canadian professional), and O-1 (extraordinary ability), as well as permanent residence and citizenship applications. She is admitted to practice in New York.